We have spent some time together as a family looking and learning together about our Purpose and Values. In a world of hurting people and limitless “good ideas” about how to make a difference, these words become our guide regarding how and why we present Jesus’ message to our community and beyond. We have committed them to print and declared them publicly as part of our commitment to stay on mission with God. While it is unlikely that many (any?) of us will commit them fully to memory, we have reduced them down to three key statements that summarize who we are and what we are up to. The first is “There you are!” Hospitality, not as a function of entertainment but as an expression to others of their value both to God and us is significant to living out our stated values. To honor and prefer one another above ourselves is how the Apostle Paul says we are to interact. The very core of hospitality is the affirmation of others through words and deeds of personal kindness. The third is “Here we go.” Each of us has been created in the image of God for the express purpose of accomplishing good works that reflect the glory of God on the planet. These good works are always a together endeavor. Jesus sent the disciples out two by two. The first missionaries were a team – Paul and Barnabas – called out by God and sent by the Church into the world. We have a destiny to accomplish and we can only do it together. 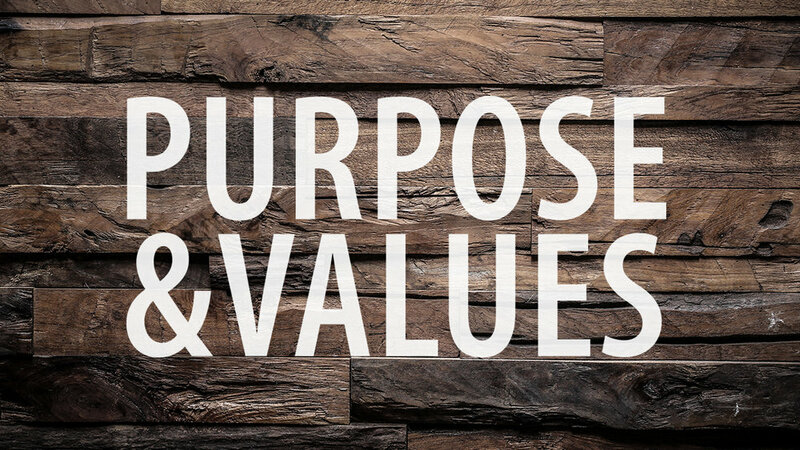 As we move together with God and with one another to bring the message of hope and reconciliation to the world, if we can remember these three things and use them to evaluate our thoughts, words, and deeds it is likely that we will fulfill our purpose in ways that are in keeping with our values. So if you cannot remember the exact wording of the Purpose or remember all nine of the supporting values, just remember that your response to others should be “There you are” when you see them, “Here we are” as you are with them, and “Here we go” as we work with them to proclaim good news to our community. To read the full newsletter this article appeared in, go to www.parkwaycc.com/newsletter, November 2018, Vol. 2, Issue 11. Posted on November 4, 2018 by Parkway Christian Center.